#ScienceMama Karen McGregor from the Daphne Jackson Trust talks about why it’s important to support parents who wish to return to a career in academic science. 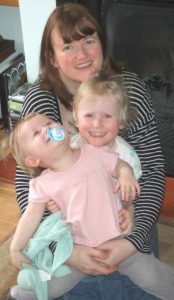 Karen McGregor is a #ScienceMama turned #ScienceMama, #SciencePapa & #Scientist advocate, supporting people who wish to return to work in an academic research position after taking a career break. In this podcast we talk about who, out of this group, most of takes a career break; why they do so; why it’s important to support them to return; and what that support can look like. “The reality is that the majority of the fellowships that we offer are for people who have taken their break to raise a family. And the majority of those are for women, because women do still primarily take on the lead in childcare. So, it’s usually running at about 90% – 95% of the fellowships we give out go to women.” – Karen McGregor, Daphne Jackson Trust, UK. You can also listen to this podcast on SoundCloud.